Imagine yourself climbing the Empire State building, now transport the stairs from the concrete periphery of the building to the ever green temperate forests and you find yourself climbing the Stairway to Heaven. This very aptly summarizes our trip to Tarum hot springs. Our initial plan to do a three day trek to Lachung is shot down by the pippon , reasoning that the route would be very difficult to find in this season. By this time we have already bought our rations considering four people for three days, leaving us with a mighty excess giving us a perfect opportunity for a lavish gastronomic picnic. 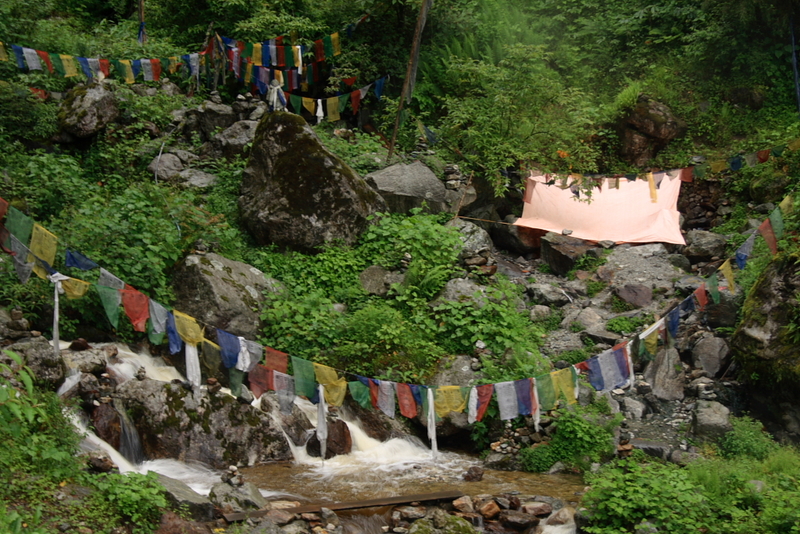 A half hour drive from Lachen gets us to Tarum chu, our starting point for the trek. We begin our climb over a multitude of stairs which pass through dense broad leaf temperate forests , aptly naming it ‘Stairway to Heaven’. 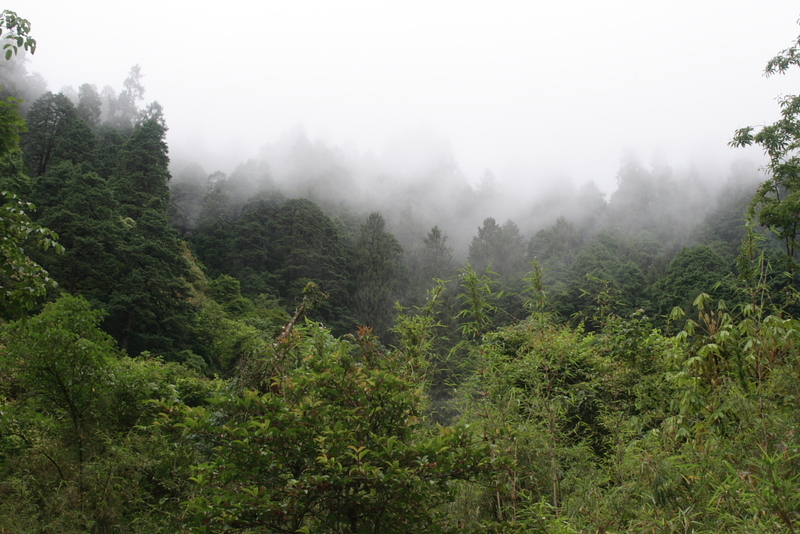 The low clouds mingling through the canopy gives off a silhouette effect to the trees rendering the forest with a very dreamy effect. Our gait is very relaxed enjoying the path which passes through bamboo canopies, listening to the melodic bird calls as the terrain slowly changes from broad leaf to coniferous. 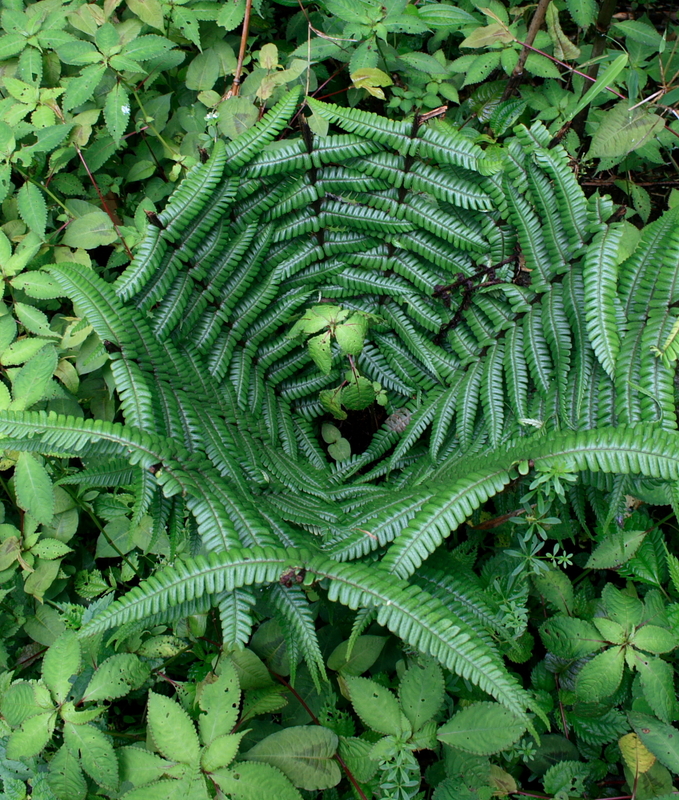 I am fascinated by a particular fern which looks like a perfectly natural tree cage, very aptly named ‘basket fern’ . Every few steps it appears in different sizes holding my fascination while I try to capture it on my camera from all possible angles. All of a sudden we reach into an opening from where we can see a small house, our residence for the night. It’ a small basic structure with two rooms , a kitchen and a bathroom, as one room is already occupied by two elderly Lepchas we make ourselves comfortable in the adjoining one. We take appreciative gulps of piping hot tea to warm our damp bodies. Very quickly we strip ourselves of our wet clothes to immerse our bodies in the female pond. Male and female , that’ the term the locals have given to the two sulphur ponds, the cooler one being the female and the hotter one the male. The locals believe that one should first enter into the female pond before going to the male pond, the reason for which I really did not know but logically it made sense as the male pond was so hot that it made me yelp as I dip my foot in. Nima and myself were thoroughly enjoying as we sit there chatting for more than an hour, coming out occasionally to escape the dizziness from the sulphur fumes. By the time we come back to the hut a three course lunch awaits our rumbling tummies. The misty weather induces our laziness as we chat away with the two Lepchas the entire afternoon. Outside the flycatchers are putting up a great show with their swooping dance thoroughly entertaining us, while the yellow beaked blue magpie calls out to his mate. After a brief nap both of us are back in the pond for our second session in the natural Jacuzzi. While we dry ourselves out, the elder Lepcha whom we loving call Ajo (grandfather) invites us to join him for a tumba. Willing we accede to his request, enjoying the sweet taste of the fermented millet over a long conversation about the Lepchas , their customs, their land. Such is our engrossment that we have lost all bearing of time , till the grey of dusk fades into the black of night. A sumptuous dinner soon follows in the dim light of our candles and the buzzing of the mosquitoes. With not much entertainment both of us tuck inside our sleeping bags by seven thirty. But the night is spent in restless abandon with an incessant attack by the mosquitoes who keep buzzing all around, penetrating their antlers for a sip of our juicy blood. I keep tossing and turning all night trying to kill a few of them, but nothing seems to help. I dive deep into the depths of my sleeping bag where they still manage to find my bare skin making me scream in frustration. The first sing of light brings some relief acting as a balm to my harried self. A warm cup of tea refreshes me from my drowsy state , post which I go for my last dip to rid my body of mosquito bites and sleep. 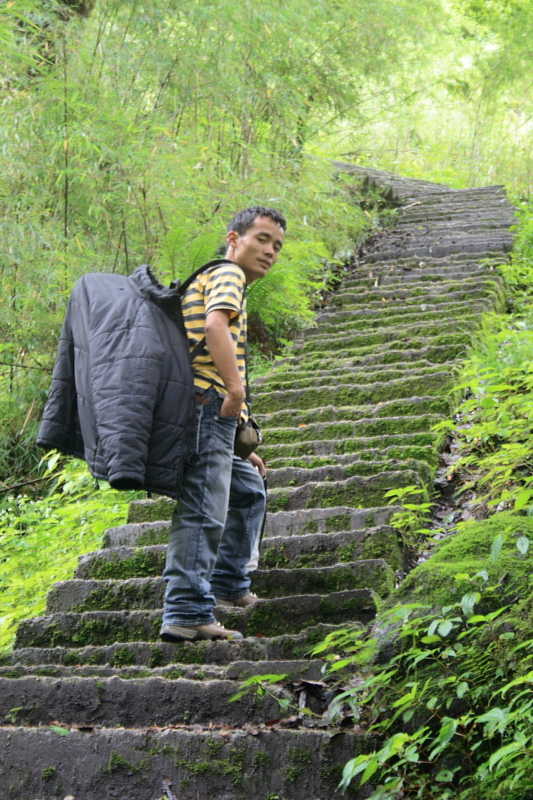 After breakfast we bid farewell to our Lepcha friends , who are sad to see us leave , as we begin our descent to Lachen.